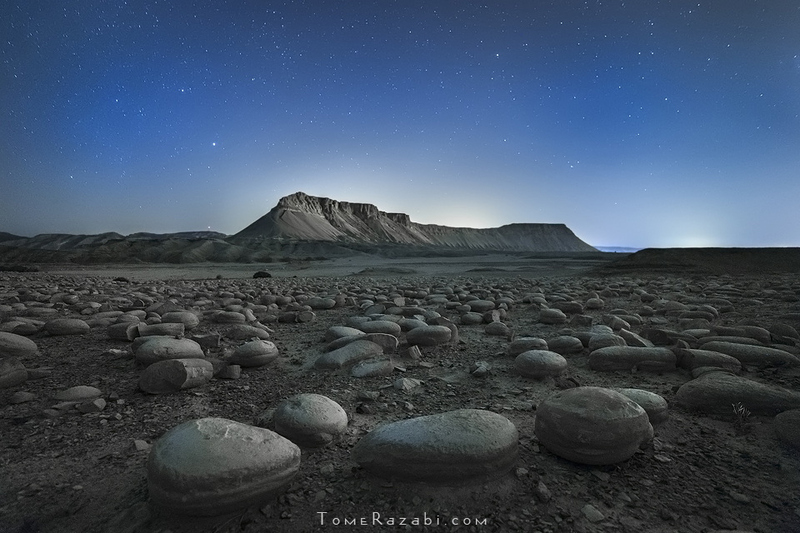 Tomer Razabi is a passionate freelance landscape photographer and owner of Wild Travel – adventure and nature expeditions company. 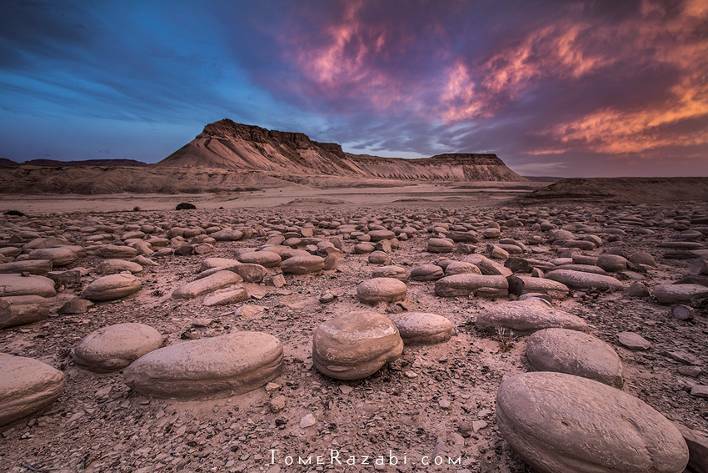 Tomer guides photography expeditions in Israel and around the world. 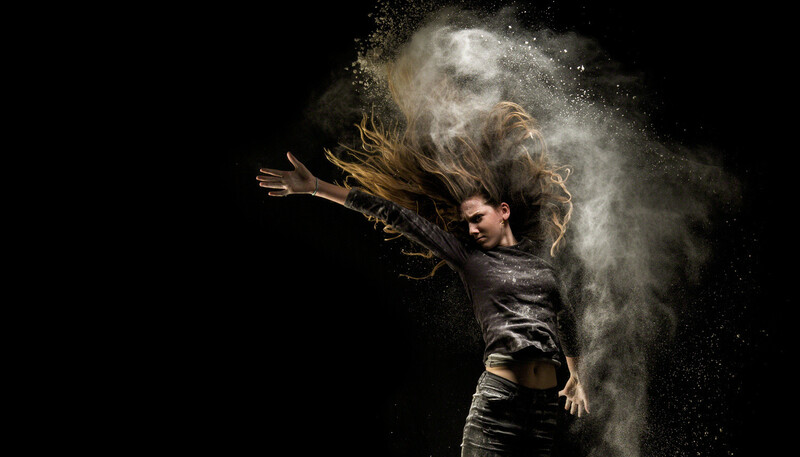 To see more of his work, pay him a visit at his 500px profile, website, and Facebook page. Landscape photography is my greatest passion. Over the last few years I’ve been exploring exciting places around the world and shooting amazing landscapes. 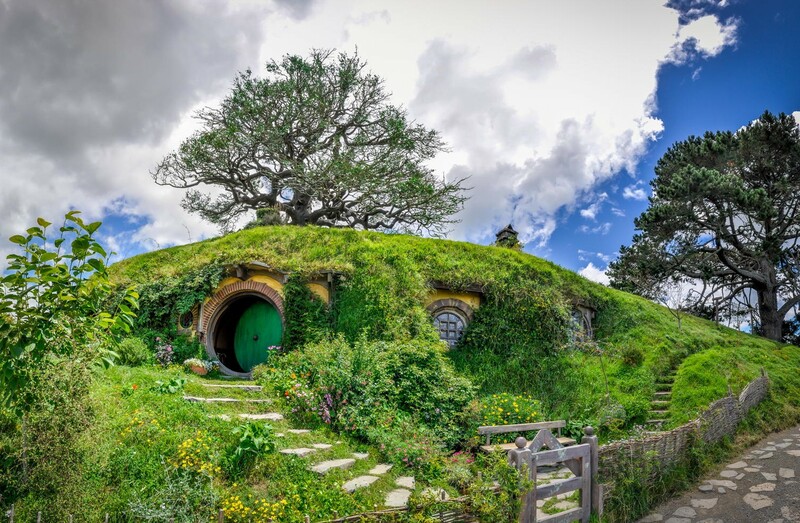 I’ve had the chance to see the open savannahs of the Serengeti, the Northern lights at Lapland, the mountain ranges of the Dolomites in Italy, and tropical beaches in the Andaman Islands. Most of the time I explore the landscapes where I live—Israel. And despite being a small country, you may be surprised to learn that it is full of diverse and amazing landscapes! I continuously search for the most unique landscapes and sceneries in Israel, and when I find them, I take time to do time-lapse of these places. 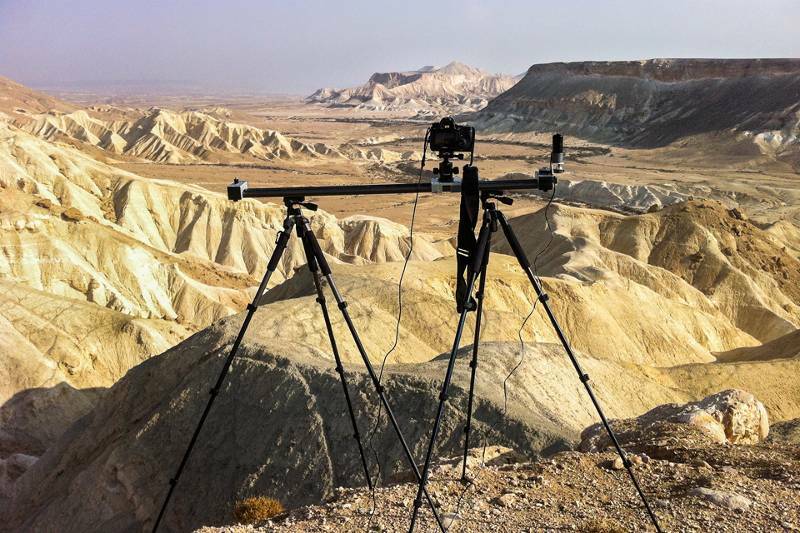 Over the past 4 years I’ve been collecting time-lapse sequences for my ongoing project: “Landscapes of Israel”. It was and still is a journey that takes me to the most remote corners of the country, many times by myself, chasing not only the best locations, but also the best and sometimes craziest weather conditions. The process of making this project included choosing the locations, the right gear, and mainly the best season and weather conditions for each scene. 1. 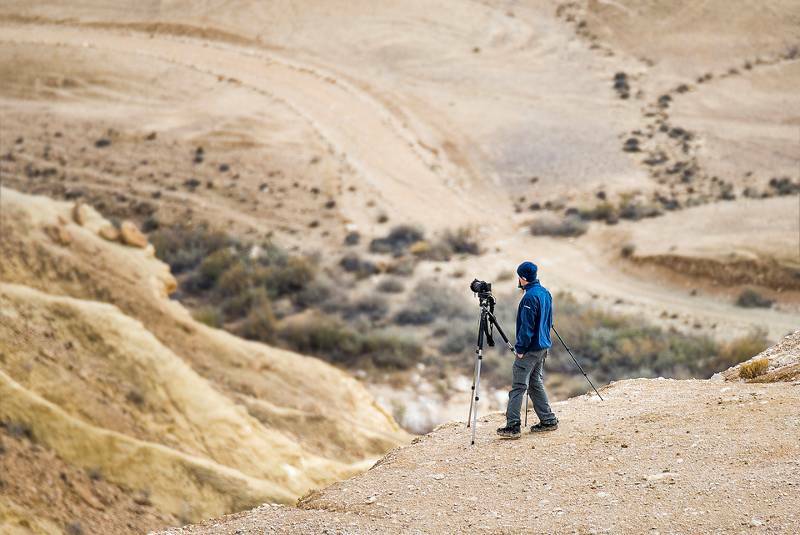 Cameras – I use two full-frame cameras: the canon 5DIII and 6D. Using FF cameras allows me to get the best image quality possible, especially when shooting landscapes at night with high ISO for stars and the Milky Way. 2. Lenses – I have three main lenses I use. They are all wide angle lenses, which allow me to get a wide view, large depth of field, and a sense of deep perspective. For daytime I use the Canon EF 16-35 F/2.8L and the Canon EF 17-40 F/4L. For night photography I use the Samyang 14mm F/2.8 and the Canon EF 16-35 F/2.8L. 3. 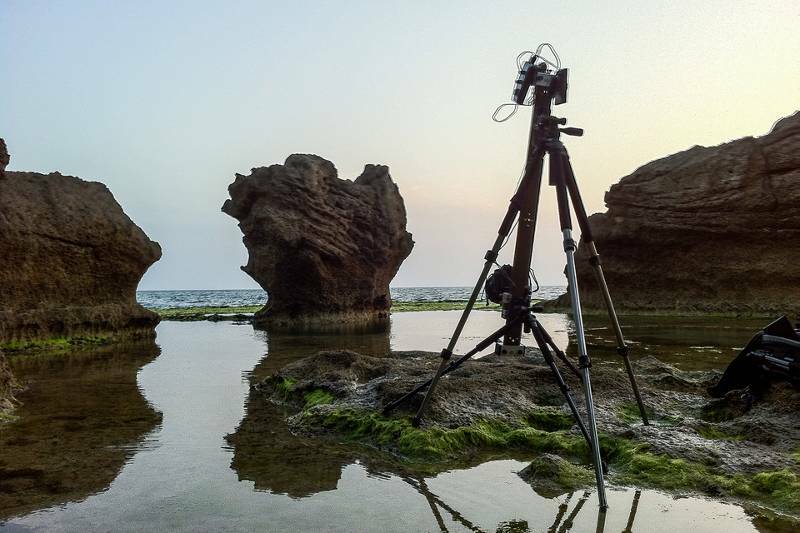 Tripods – For stabilization I mainly use my Slik Pro 500, which is both very durable and steady. I also have two Slik sprint pro tripods, which are smaller for setups when I need to shoot with both cameras or with my Slider. 4. Filters – I use ND filters in order to achieve a slow shutter speed and Graduated ND filters to balance light between the foreground and background. These include the Hoya pro1 NDx32, Lee Proglass 0.9, Lee graduated filter 0.9, and Singh-Ray reverse graduated filter 0.9. 5. 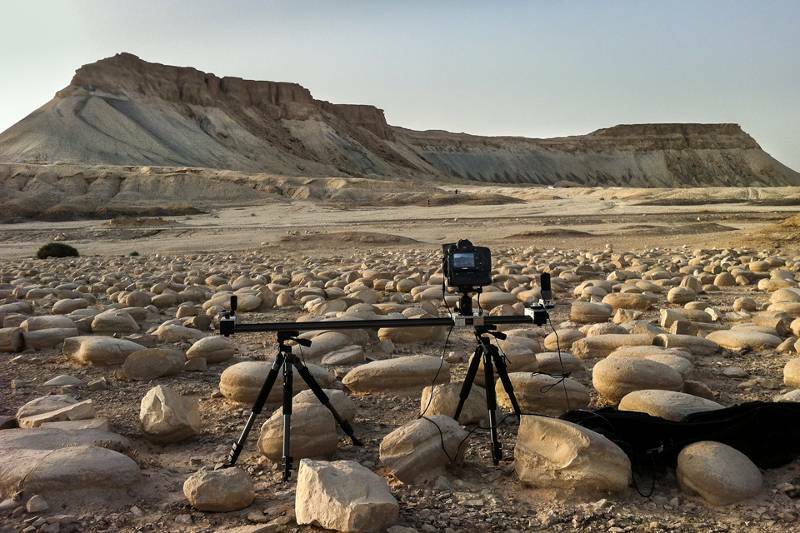 Slider – To achieve more dynamic and interesting time-lapse shots, I add linear motion using the “Digislider” time-lapse kit. 6. 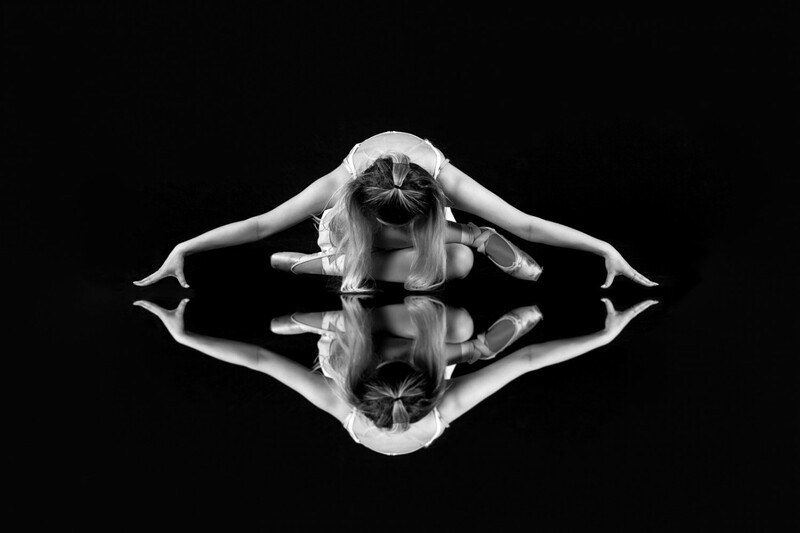 Radian – The Radian is my device for pan and tilt motion. It is compact, light, precise, has multiple programmed settings, is very simple to use (Smartphone app), and has a great battery life. 7. Transportation – last but no less important, my 1997 Suzuki Baleno takes me almost anywhere I have to go, including off-road 🙂 A jeep is probably the ultimate car in order to get to remote and off road locations, but sometimes a bit of hard walking is what it takes. Nizana is a desert area with spectacular rock formations and sand dunes. 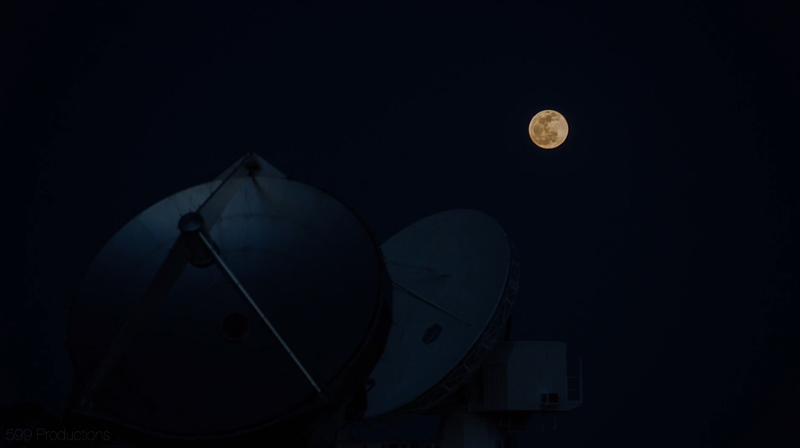 I went there several times, mostly for night shots and time-lapse. It is located right next to Israel’s south west border and quite frequently has military patrols in the area. 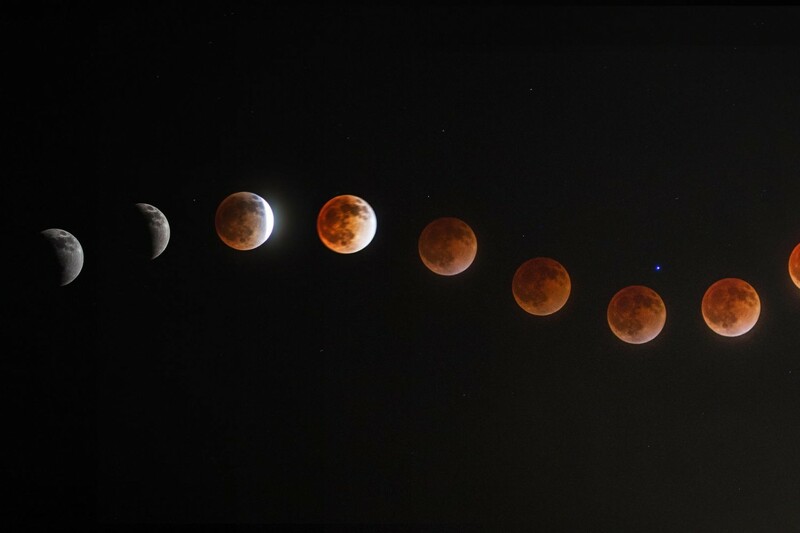 When I shot this time-lapse, I had several hours to spare while my camera was clicking away. I took a break near my car (leaving my camera a few hundred meters away in the field) for a sandwich dinner. I enjoyed the night sky and Milky Way above till I heard small and quiet steps approaching. At first I thought it was a small jackal or fox wondering around, but after ten minutes the steps became more frequent and strong. I was pretty alert and nervous and then I noticed two silhouettes slowly approaching me. A minute later I turned on my torch and they turned on theirs. I was happy to find out they were soldiers on patrol, they saw my activity and came to check who is the crazy person moving in the area in the middle of the night. 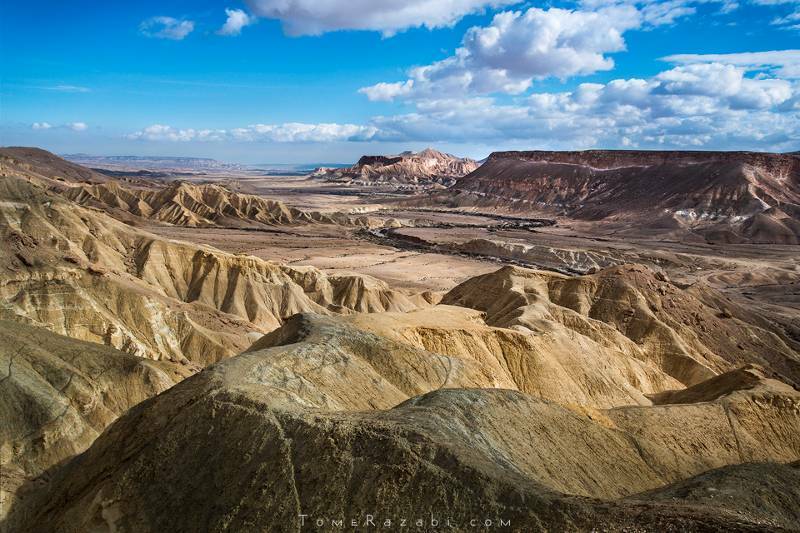 “Zin” is one of the biggest rivers in Israel and has spectacular view along its path. This viewpoint of the river excited me for a very long time, but I wanted to capture it with soft light and clouds which is pretty hard because it is in a very hot and dry area in the desert. I shot this frame and a time-lapse sequence last January after a big storm raged there the night before. When I got there it was partly cloudy, but still with very strong winds. The viewpoint was very muddy and hard to walk and I had to watch over my cameras all the time from tipping over the edge. Mount Zin is a beautiful table mountain in the Path of Zin River deep in the desert. Right next to it lies a unique field of bulbous rocks which were probably created during millions of years of rock sediments that wrapped around marine fossils. The road to Mount Zin took me and my car driving off-road on a tricky river bed road that was not very suitable for non 4X4 vehicles. After about half an hour of shaking and hearing all kinds of sounds under my car I reached the location. I was completely alone there besides two families with a bunch of sweet and funny young children who camped nearby and with whom I ate a nice Poyke dinner. I set up my tent away in the field before the sunset and shot continuously until the sunrise next the morning. I was awake almost all night while the cameras were shooting the stars, changing the slider setup from time to time, and took short naps in between. For me this project is ongoing and not over yet. I still have many more places and scenes I am keen to shoot and, I’m sure I will find many more special locations in the future. Besides my private joy of doing this project, I truly hope it will help bring awareness to the country’s unique nature and help in preserving it. It is truly a journey of adventure and exploration in the land I live in.